When Sammy Skinner was hired to replace longtime Maranatha athletic director Brian DeHaan, he didn’t really have thoughts of leading the MHS softball program. 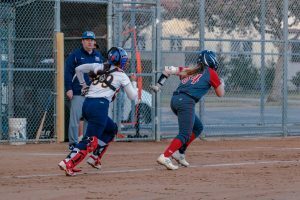 As the season kept creeping closer and closer and there wasn’t any suitable candidates that matched the high standards that Maranatha looks for in their coaches and leaders, a decision still needed to be made and soon. Eddie Arnett, who serves as the trusted assistant athletic director, and knowing Skinner had led multiple programs to state titles earlier in his career in the south, suggested that Skinner himself take over a Lady Minutemen team that had a lot of returning talent. For that to happen, Arnett was going to have to step up even more than he already does so Skinner could focus on the softball program during the spring. 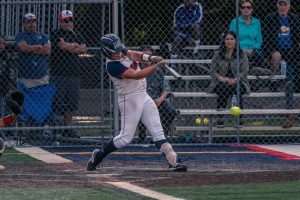 Maranatha was young, but skilled and was led by our 2017 Player of the Year, Devyn Netz. MHS had many other key contributors, including Gracie Rose, Miranda Lopez and Priscilla McAllister, just to name a few. 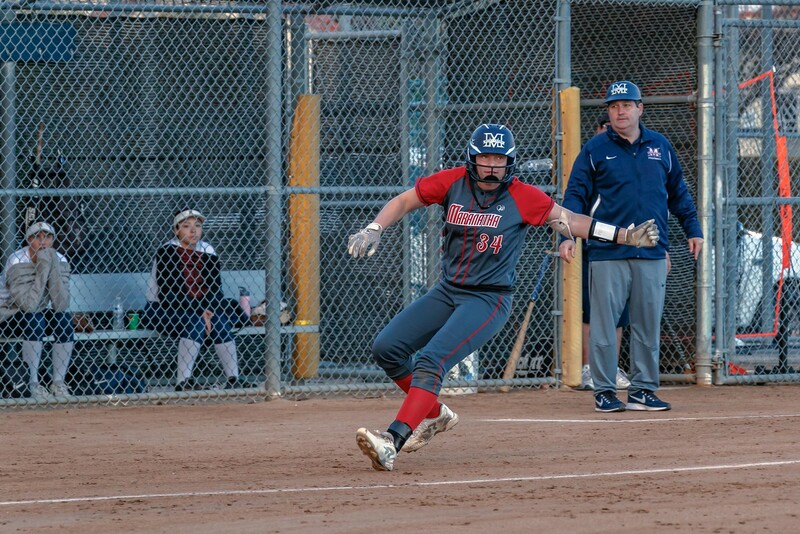 And one year after missing out on the playoffs altogether, Skinner’s ‘structure’ and Netz’ feats, both in the circle and at the plate helped Maranatha raise their expectations and their list of accomplishments. 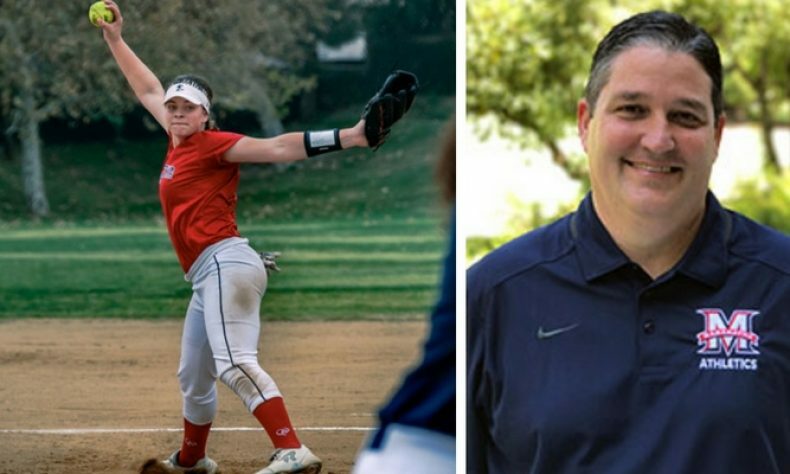 For his ability to take the program to the next level in his first season and for her continued excellence in ever phase of the game, Skinner has been named the 2018 Pasadena Sports Now Softball Coach of the Year and Netz is the 2018 Pasadena Sports Now Most Valuable Player for the second time in her two prep seasons. Sammy Skinner, 47, is from Alabama and has lived in Florida. It also doesn’t take more than 10 seconds or so in a conversation with Skinner and by his southern drawl to know he wasn’t from the west coast. And as much as his colleagues, friends and players love to joke about his enunciations, no one takes this man lightly. He is a man of God, and yet he’s a feisty competitor that holds his programs to very high standards, and yet there is no one he expects more from than himself. 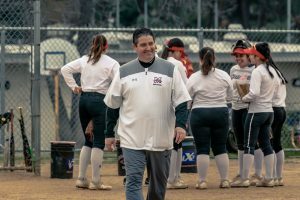 Skinner had a record of being a championship coach in two sports and taking over the softball program, he wanted to get the Minutemen to expect more of themselves, both individually and collectively. One of the things that most worked in his favor was making sure each player knew they were valued, appreciated, but also that each day he was going to ask that they improve in one way or the other. The way he puts it, “if someone comes in, on a scale of 1-10 as a 5, we hope by the end of the season, they are now a 7 and confident in what they can do if they work hard,” Skinner said. His structure and focus on all the small things led a program that went 4-4 last season in the Olympic League to a 7-1 mark in 2018, which included a share of the championship. The Minutemen more than doubled their league offensive output from 23 runs scored in 2017 to 52 this season. And they held Olympic League opponents to just 6 total runs in those 8 games, which was down seven from a season ago. Skinner obviously benefited from having the area’s best player, Devyn Netz on his team, but he also got enormous contributions as mentioned from every player that ran out onto the field, and they did so, because their coach believed in them. Gracie Rose is a stud, and the star senior agreed with Netz that Skinner has made an incredible initial impact on what is now his program. While Skinner, in true southern form gave his players most of the credit, he also deflected the rest of it his coaches (Kimi Nahigian, Drake Buchanan, Keyera Albright and Anjie Amezquita) way, and at least for now, intends to lead the program into the near future. He also wanted to say none of this would have been possible without the incredible sacrifices of his assistant athletic director Eddie Arnett, who is one of the best in the business, and an even better human being. Devyn Netz, 16, is the area’s best softball player for the second year in a row. If you ask area coaches, they will say without hesitation that it’s not even close when comparing her versatility with anyone else in the Pasadena and La Canada areas. 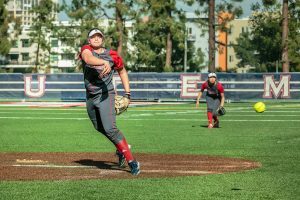 She comes from a family of winners, including her brother Dawson who put on a show on the mound for the ages. He went 12-0 with a 0.26 ERA and 10 days ago, led MHS to a CIF-SS Division 3 championship. But enough about Dawson, this is Devyn’s night. 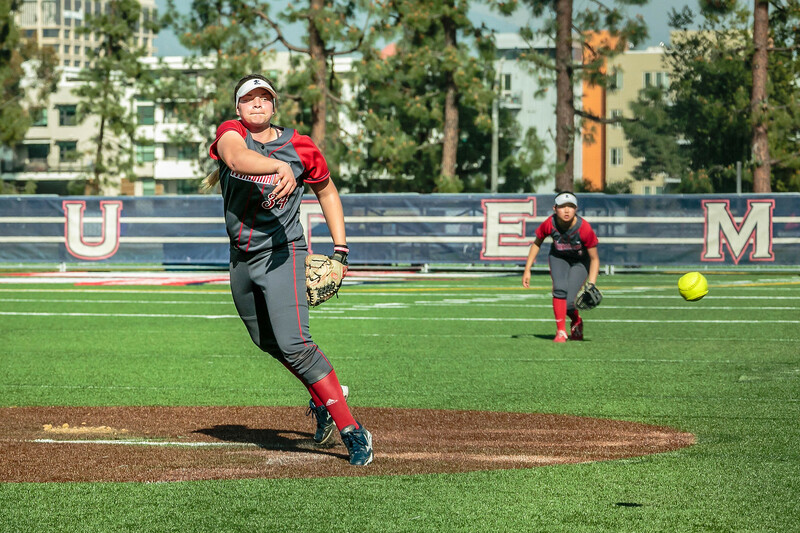 She went 15-5 on the mound this season with a 1.35 ERA, which was down from her the 1.41 ERA of a season ago. Netz walked 22 batters and struck out 198 through 125 innings. In just two years, she’s compiled 409 strikeouts in a combined 254 innings and had a combined ERA of about 1.37 over that stretch. But that’s just half of what she contributed to Skinner’s program. Netz led MHS in RBIs (24), triples (2), home runs (4), slugging percentage (.766), and she was second in batting average (.417), and third in both hits (25) and doubles (5). 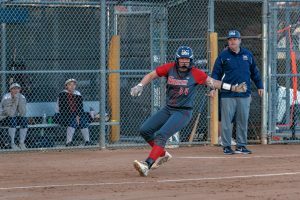 Maranatha is 31-15 since she strode upon campus and over that time, she’s collected 61 hits, driven in 51 runs, and scored 50 times. Netz had 15 career doubles, two triples and 11 home runs. In the circle, her control tops even her brother, and she boasts a better than 10-1 strikeout-to-walk ratio, which is better than Dawson, who is around the 8-to-1 mark. Aside from those numbers, it’s when Netz drives in runs that makes her as special as she is. She has become as clutch as she is good, and those two don’t always go together, even among the best of athletes. If you weren’t impressed with her exploits in the circle and at the plate, her grades are even better than her on-the-field prowess, and as is everyone in her family, she’s polite, intelligent and appreciative for what she has and those around her. And that includes her teammates. Her teammates certainly appreciate her contributions as well. 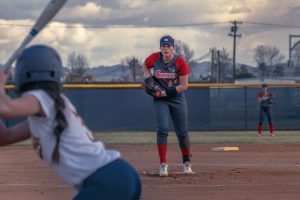 Maranatha earned a first-round CIF D5 playoff win over Heritage in 10 innings when they rallied from down one in the bottom of the eighth and put the game away in the tenth on a day Netz needed to be near perfect. 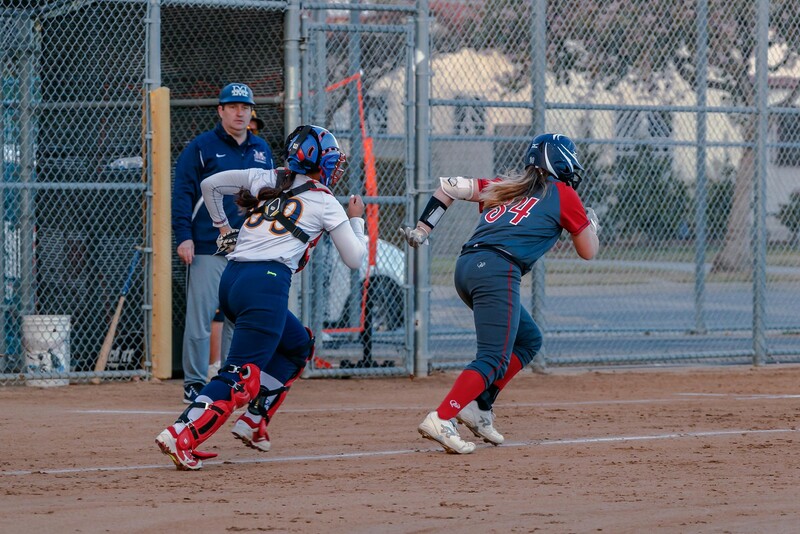 In her losses, Maranatha’s offense scored just one run three times, two runs once and no runs in the other outing, but you won’t hear the sophomore complain about any of it, because she is part of that offense and they are in this together.